Taipei, March 22 (CNA) In the wake of an incident in which Japanese patrol boats water-cannoned and chased a Taiwanese fishing boat in disputed waters earlier in March, Taiwan and Japan have agreed to establish an emergency liaison mechanism between fisheries agencies, according to Taiwan's Fisheries Agency (FA) head Thursday. 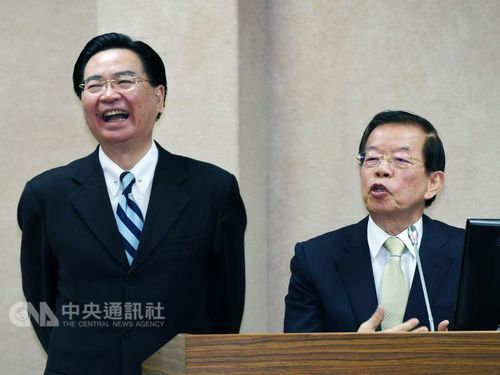 The remark was made at a Legislative Yuan Foreign Affairs and National Defense Committee meeting attended by Taiwan's Representative to Japan Frank Hsieh (謝長廷), Foreign Minister Joseph Wu (吳釗燮) and FA Director-General Huang Hong-yen (黃鴻燕). The officials were invited to the committee to report on developments relating to the incident involving Taiwanese fishing vessel the Tung Pan Chiu No. 28 earlier in March and the broader issue of disputed waters. 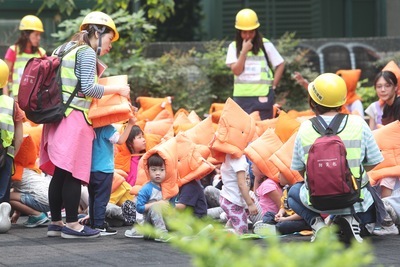 The emergency liaison mechanism was agreed upon at a Taiwan-Japan joint fisheries committee meeting held in Taipei last week, said Huang, adding that it would be established very soon to avoid any similar occurrences. The FA believes the actions taken by Japanese authorities were excessive, said Huang, adding that the Japanese also failed to notify relevant Taiwanese agencies prior to their actions. It is hoped that the introduction of the emergency communication mechanism will make it easier for fisheries agencies in the two countries to communicate and avoid future disputes, Huang added. In addition, the Ministry of Foreign Affairs (MOFA) indicated that fishing regulations in the "inverted triangle area" north of the Yaeyama Islands, one of the designated zones in the Taiwan-Japan fisheries agreement, is to be revised, a move agreed upon by both sides. In response, the FA will amend relevant domestic regulations and publish the new rules before the start of the fishing season in April, said Huang. However, in a report found in The Japan Times on Sunday, a Taiwanese official said "the two sides agreed that Japanese fishing boats will operate on the east side of the inverted triangle area, while Taiwanese fishing boats will operate on the west side." Taiwan-Japan Relations Association (TJRA) Secretary-General Chang Shu-ling (張淑玲) said, during the meeting last week, both Taiwan and Japan expressed their respective positions. Japan understands Taiwan's position, Chang said, adding that the two countries will continue to hold talks. A Focus Taiwan report earlier this month indicated that while MOFA has not yet revealed the amendments made to regulations in this particular zone, one source, who spoke on condition of anonymity, said the changes will be implemented on a trial basis from April 7, which is the start of fishing season.